Glassman, Wyatt, Tuttle & Cox, P.C. senior shareholder Richard Glassman has been recognized in the 24th Edition of the Best Lawyers in America® for his work in Legal Malpractice, an honor he has received for more than 20 years. Glassman has defended attorneys in legal malpractice disputes for over three decades and speaks regularly on the topics of legal malpractice, legal ethics, and legal risk. “I am honored to once again be recognized by my peers for inclusion in such a prestigious community of legal professionals,” said Glassman. 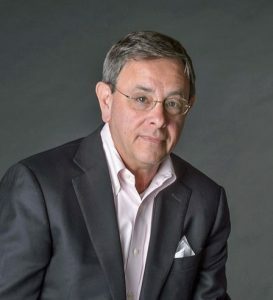 Glassman has achieved a multitude of accomplishments over his career spanning more than four decades, including being AV rated, a Board-Certified Pretrial and Trial Specialist and a member of the American Board of Trial Advocates, and a Memphis Magazine Top Lawyers of the Mid-South, as chosen by other attorneys. Richard is also a Fellow in the Litigation Counsel of America which is a by-invitation association of less than half of 1 percent of lawyers in the United States to promote superior advocacy and ethical standards. Glassman previously served as an Adjunct Professor of Law at the University of Memphis Cecil C. Humphreys School of Law where he taught a course on Insurance Law and currently serves as President of the University of Memphis Law School Board of Alumni. In addition, Mr. Glassman is a member of the Defense Research Institute, the Tennessee Bar Association, the Memphis Bar Association, the Mississippi Bar Association and the Nashville Bar Association. To learn more about Best Lawyers®, visit the website at www.bestlawyers.com.